Do not be content with your present state. Keep on wishing for further progress. Self-Confidence and Modesty. Modesty is essential for your progress in Aikido. Self-Confidence is what you have acquired through the past training. Always practice. It is practice, so no problem even you do not carry out an Aikido technique well to your practice partner. Do not make any Aikido technique forcibly. Forcible movement will be soaked in your body unconsciously. Do not rush to make your progress. It will take a lot of time for making progress in Aikido. 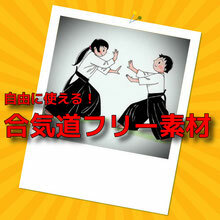 It is very difficult to explain Aikido. But, if an explanation is allowed, you should use whole your body. Even using whole your body is not enough. Use your heart in addition. Strong point of your opponent is his weak point. 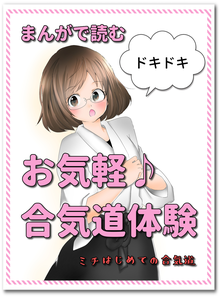 Actually, at the very first moment, the body contro of the opponent is taken completely. So, his reaction to protect his body is really impossible. Weak point is the strong point. My body was weak and small, so my present style was developed. Your practice partner tell you if your movement is correct and effective. See how he lose his body control by your movement. Build up "Tanden", then forget it. Build up the core, then forget it. You have to solidify Tanden and the core to build up, but you cannot use such solidified one. Tanden must be dynamic (kinetic). You should practice with a person, otherwise no progress in Aikido. Self-training is a matter of course. Do what you want to do for your practice. After making various trials, if you find basic training is a fun, you can make further progress. Discharge completely, then the new things come in. If it is clear in yourself, opponent will come and fit into you. The breathing of Aikido is "Let it in by breathing out". If you discharge completely, then it will come in naturally. If you try to pull and bring your opponent into yourself, he thrusts you. YES and NO coexist in Aikido. Aikido is difficult to explain by words. With making oral explanation, I cannot make Aikido technique very well. Brain is not used. Come out naturally, Aikido technique which was soaked in your body through the past practice. 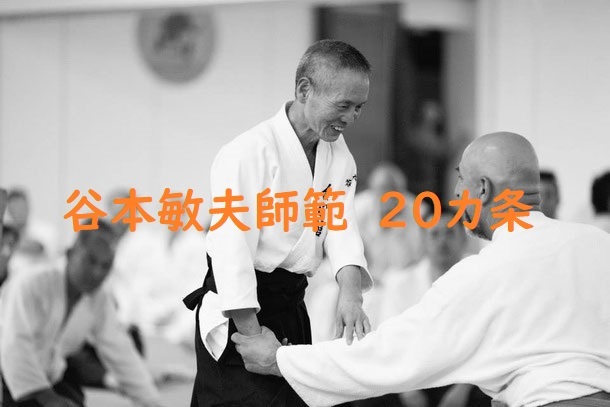 Aikido is for 21st century. Enter the strong point of opponent. It is difficult to enter that if your shoulder is not relaxed. Stand with axis. Stand straight. Shoulder relaxed, it downs to Tanden. Tanden relaxed, it downs to big toes. You can control everything inside of your body. Use whole your body. Copyright 2015 AIKIDO AISHINKAN. All Rights Reserved.